Experience the Best in Service & Style As the premier salon in Spring Hill, Florida, Leaf Aveda Salon Spa is a full-service Aveda salon committed to giving guests the best salon and spa experiences with naturally-derived and cruelty-free products. 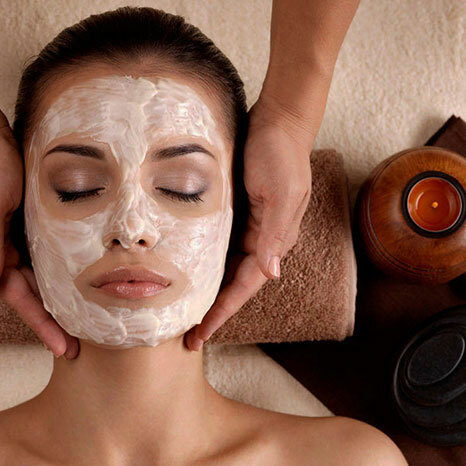 Our services are accompanied by a Sensory Experience, a concept created by AVEDA that includes a stress relieving scalp and shoulder massage, hand massage, and a finishing touch to your make-up – free of charge. Experience the sense of individualized focus that distinguishes Leaf Aveda from other Spring Hill/Brooksville, Florida salons. We are down to earth hair experts; Today's trends and classics. Cutting, colouring, balayage, styling & texture/treatments services. 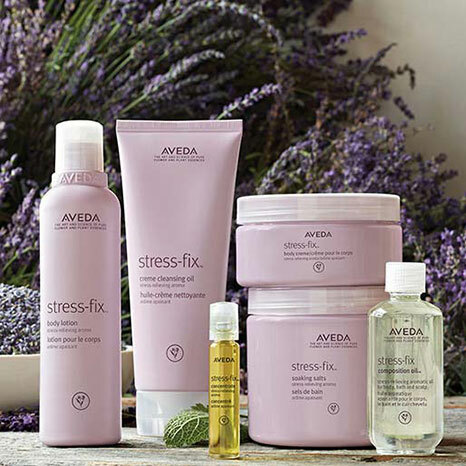 Your experience begins with a personalized consultation, an Aveda stress-relieving aromatherapy scalp massage and cleansing. Finish with pure plant shampoo, conditioner and blow dry styling. Our Aveda Hair Color is up to 99% naturally derived and delivers superior permanent color that resists fading, keeps hair shiny and essentially damage-free. At Leaf Aveda, we take a holistic approach to treating hair and scalp, with professional aroma-therapeutic and botanically active treatment to restore balance to your scalp and hair. This customized experience for hands and feet includes an aromatic sensory journey, a gentle cleanse and exfoliation, maintenance of the nails and cuticles, followed up with our self-warming seaweed masque leaving the skin feeling smooth, soft and toned. Our relaxing waxing ritual incorporates essential oils and soothing compresses to give you the most comfort and best hair removal results. Please advise us prior to your service if you are under the care of a dermatologist, using Retin-A products, taking medications, vitamin supplements, or any other products which may result in special skin sensitivities. Depending on the amount of hair, prices may be higher. For best results, have ¼ inch of hair growth by your appointment date. Artists will personalize your Aveda makeup application to best suit your features and skin tone with colors and techniques that enhance your natural beauty. Receive a same-day complimentary Make-up Touch Up with an Aveda Advisor when you make a $50 makeup or skincare purchase. Give the gift of luxury experiences with Leaf Aveda Spa Packages! Each of these carefully curated Spa packages are customized to enjoy and maximize relaxation for 20% less than if they were experienced alone. We are a full service award winning Aveda Lifestyle Salon Spa, carrying all available Aveda products. We specialize in Aveda colors, highlights, balayage, ombre, men's and women's haircuts, and more. We offer you a full luxury salon experience, from our concierge who greets you with a cup of Aveda comforting tea or glass of wine, to the stylist to whom you entrust your tresses, we are a team committed to excellence. Our team has years of experience and technical achievement, so they're able to provide our guests with an extraordinary level of service and an unparalleled customer experience. Come experience our salon and enjoy soothing AVEDA aromas to escape and relax, a stress relieving scalp massage, a warm cup of tea or a relaxing hand massage while your color processes and makeup touch up, all FREE included with your service. As a new guest, we would like to offer you a gift. $20 Gift Card to experience our any salon or spa service. Terms and ConditionsGOOD FOR ANY NEW GUEST ONLY. $20 gift is valid toward any Leaf Aveda Salon Spa service you have not experienced in the last 6 months with select service providers. Only good toward services valued at $40 or more, excluding haircuts. Please mention this offer when booking and present at time of checkout. Not valid with any other offers or discounts. No cash value. When you refer a friend to Leaf Aveda Salon Spa, we'll give them a $20 gift to use toward their new service. To say thanks, you'll get a $25 gift to use toward Aveda products! Terms and ConditionsNew guests referred to Leaf Aveda Salon Spa will receive a $20 gift. Gift may be used toward services of $50 or more with select service providers. To receive your $25 gift, your friend must redeem his/her referral email at the time of service. Your $25 gift will be issued by email so please provide a valid email address. Gifts are valid at Leaf Aveda only and have no cash value. This offer is not valid with other offers or discounts. "Casey has colored and cut my hair for over a year and a half. She is incredibly talented and a fantastic listener. She consistently exceeds my expectations whether highlighting, changing my cut, or applying the perfect base color. Even more than that, about 4 months ago I decided for personal reasons that it was time to embrace my silver hair. The way Casey has taken care of my color, there is no obvious line of demarcation with the grow-out silver around my hairline. Aveda products have always kept my mid-life hair very healthy and full. The salon is lovely and an oasis of relaxation and pampering. I highly recommend Casey for all styling, cut, and coloring needs -- you will be delighted." "Devyn did my hair today. To say it is gorgeous is an understatement. I am very picky about my hair and she did not disappoint. The atmosphere in the salon is very upbeat and fun. I would recommend this salon to anyone." "In my full-time travels around the country, every 5-6 weeks I am looking for an Aveda Salon in which to get my hair colored. Leaf Salon Spa in Brooksville, Florida is a hidden gem. From the moment I contacted them, I was treated very professionally and courteously. I had emailed to them notes from my hairdresser of 42 years, and not only did Chrissie, my stylist at Leaf, follow those notes, but she took it upon herself to call my long-time stylist to clarify particular points, which I consider above and beyond in customer service. Words simply cannot express how much I appreciated Chrissie for this. Not only did she follow my hairdresser's notes in coloring my hair, but she took the time to cut my hair precisely how I wanted. This attention to detail is simply not found in many of the salons I have visited. Whenever I find myself within a 2-hour drive of Brooksville, I will definitely make the effort to (and I HIGHLY RECOMMEND that others also) go to Leaf Salon for an appointment with Chrissie. She is well worth it!!! Based on the talent of Chrissie, I am sure all the other stylists in the salon are just as highly trained and just as professional. All other clients in the salon seemed to be very satisfied customers. Leaf Salon Spa is an A++ establishment." "I love everything about this salon, the chic atmosphere, the convenient location (it's right between ULTA & Marshall's) the variety of products available that are actually good for hair and skin, but I am most impressed with the caliber of people that work here. Everyone takes care of me from the second I walk in the door. My girl, Dom, even gave me a Christmas card today at my waxing appointment! I highly recommend this salon." "Not your run-of-the-mill salon. I recently moved to the area and was looking for a new salon. My poor Wisconsin hair had no idea what to do with the Florida humidity. I was all frizz and in dire need of expertise. I had an excellent experience at Leaf salon. Friendly staff on check-in and check-out. My stylist was an artist, taking pride in her craft. She was willing to share tips and techniques to help me recreate the look at home. She shared about products she used but wasn't pushy for me to buy them. I left feeling pampered and I loved my haircut/style. My stylist was Domenique, but I'm sure they are all great. I will definitely return." "When you walk through the doors you know it’s “me time.” Everyone is friendly and attentive. The salon is clean and uncluttered and the atmosphere, even on its busiest days, is relaxing and unintimidating. I love all of the little extras....hand and arm massage, scalp massage, soothing beverage. I am a fan of the AVEDA product line and LEAF is always well stocked. Chrissy gets my highest recommendation! She is a talented, patient stylist, always professional, always focused on my satisfaction from color to wash to cut and style....she has taken the time to get to know me and my own personal style. I trust her implicitly! I always walk out of the salon looking great and feeling wonderful!" "The salon is beautiful and professional - very well run! The products are by far the best I have ever used. Makes a HUGE difference in the condition of my hair, but my favorite thing about this salon is my stylist Casey G. She is exceptional! She is a hair miracle worker and I could not be happier with the way she does my hair! My hair has never looked better!! I highly recommend Casey and this salon to everyone!" We look forward to hearing from you and helping you start your journey to healthy hair and vibrant skin.